In case it’s not obvious from the work, I’m greatly enjoying doing the new DOCTOR FATE series. 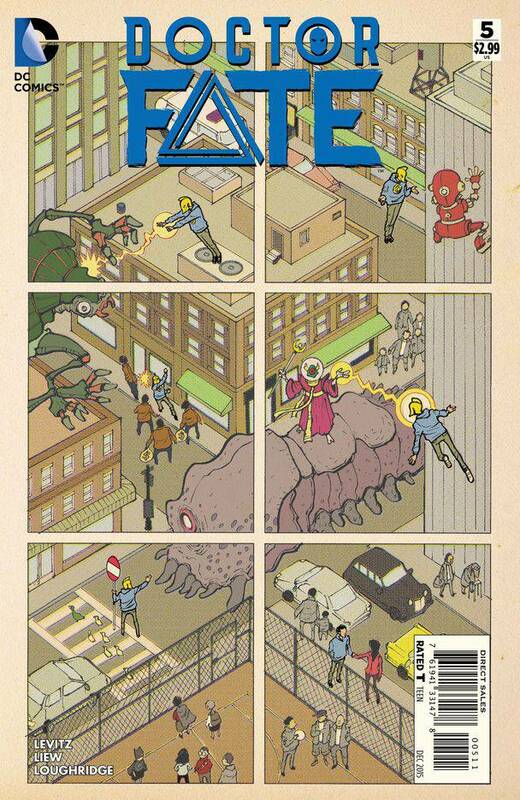 The collaboration with Sonny Liew is a special joy, from his innovative covers (love this month’s ode to Frank King and Chris Ware), hate that he does them completely digitally so I can’t get an original to hang on my wall. With issue #5, Khalid has grown a bit more confident and competent (though it’s still less than a week of real time since he became Fate), but it’s clearly not enough to face off against a god. Part of the fun for me is exploring things that are genuine Brooklyn, sadly even including looting in the wake of a blackout or disaster. The good news is that hasn’t happened much in the wake of Sandy, but it’s certainly something I remember from the big blackout of my childhood, most of who’s waking hours I spent on my front porch in East Flatbush, waiting for the power to return. Have to find a moment to get a good slice of Brooklyn pizza or a chewy Brooklyn bagel into the story!